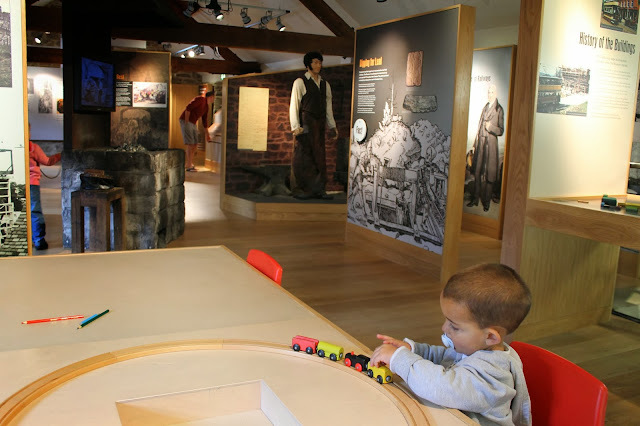 It is far easier for me to write about amazing "days out" (as they say here), or the really fun trips we take. It's always more enjoyable to rehash memories that are full of smiling faces and fewer tears. But late September into mid October found my family in a bit of a travel funk. A big part of me wants to forget it and move on, to not even tell those stories here. But in part, this blog serves as a family scrapbook. When we reflect back on this experience living abroad, I want us to remember that we lived the high moments to their fullest, and survived the low points that made us stronger as a family. And so I proceed with the first of our "misadventures." Our weekend getaway to the Peak District. In hindsight, I should have known from the beginning that this trip was doomed. I had originally purchased a Groupon for a hotel stay plus admission tickets to several attractions in the area. But the booking via Groupon went haywire and took me hours on the phone haggling with customer service reps to resolve. I also realized after the fact that all the attraction admission tickets included that made this such a great deal were places that already offered free admission. Grrr. Annoying, but we moved on. Upon our arrival after dinner on a Friday evening, all was going well. The room set-up was ideal, as far as hotel stays go. One double bed and two twin bed cots. Particularly hard to find in Europe. The boys took a bubble bath in the giant bathtub and did flips and twists on the hotel room bed. Naturally it took them awhile to settle into slumber, but by 9 p.m. they had succumbed to their fatigue. And then at 1 a.m. we awoke to Little Arrow screaming the type of gut wrenching sounds that send any parent into panic mode. We had no idea what was wrong (still don't). We tried everything. Tylenol. Food. Drink. Cuddling. Rocking. Swaying. Walking around. Television. Cartoons. Games on the iPad. He just wouldn't stop. An hour after it began, the hotel manager quietly knocked on our door. He was very diplomatic and polite, but made it quite clear that guests were complaining. My husband took Little Arrow outside into the cold night air, which finally seemed to relax him. When he returned to the room, we were able to get him back to sleep. We whispered that maybe while it could have been anything from a night terror to an ear ache, at least it was over. And then it wasn't. He started back up again at 4 a.m. I feared we'd get kicked out of the hotel at that point, so I dragged both of our tired bodies down to the car and drove him around this unfamiliar town until he fell asleep. Then I somehow managed to find the hotel again, and we both dozed in the parking lot. He awoke for good at 5:30 a.m. I entertained him in the car for a while, and then switched with my husband, who entertained him in the hotel lobby while Big Arrow and I got another half hour of sleep. Needless to say, we were the first folks to sit down to breakfast when the restaurant opened at 7 a.m. Even though we had booked for another night, we packed up our stuff and checked out. Now Big Arrow was crying, frustrated that his little brother had sabotaged the fun weekend we had planned. We got in the car, pointed toward home. I just wanted the privacy and space of my own house. I still wasn't sure what was wrong with Little Arrow. I was tired, frustrated, annoyed, and so disappointed. Luckily, the ying-to-my-yang husband had other ideas. He reminded me of the fun spot I had planned for us to stop on what was supposed to be our return trip home the next day. 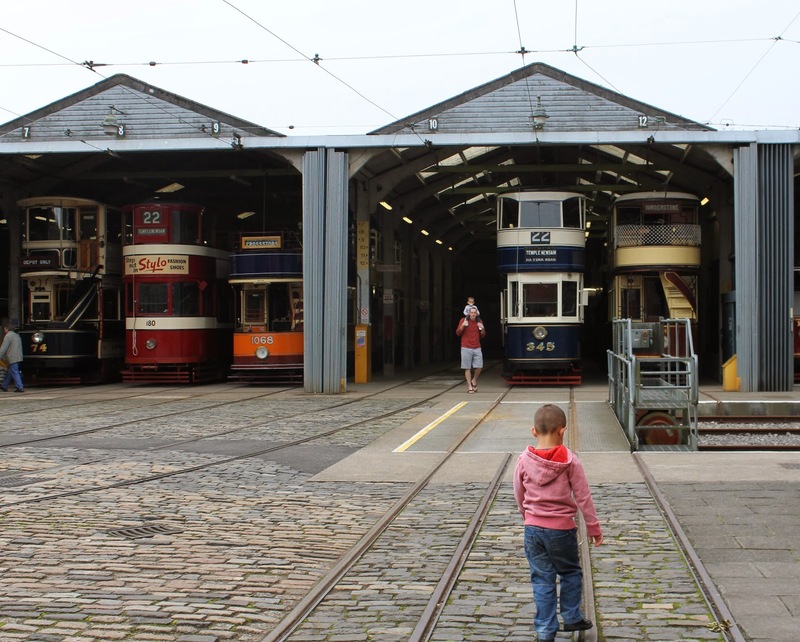 An outdoor museum dedicated to the old fashioned trams that helped Britain lead the Industrial Revolution. The weather was fine, he argued, let's at least salvage some enjoyment out of this trip. We pulled into the parking lot, three of the four family members still with tear-stained cheeks. But I'm so thankful my husband pushed us forward. The museum itself was fine. Nothing spectacular, but an enjoyable morning spent watching the trams move around a recreated historic village. 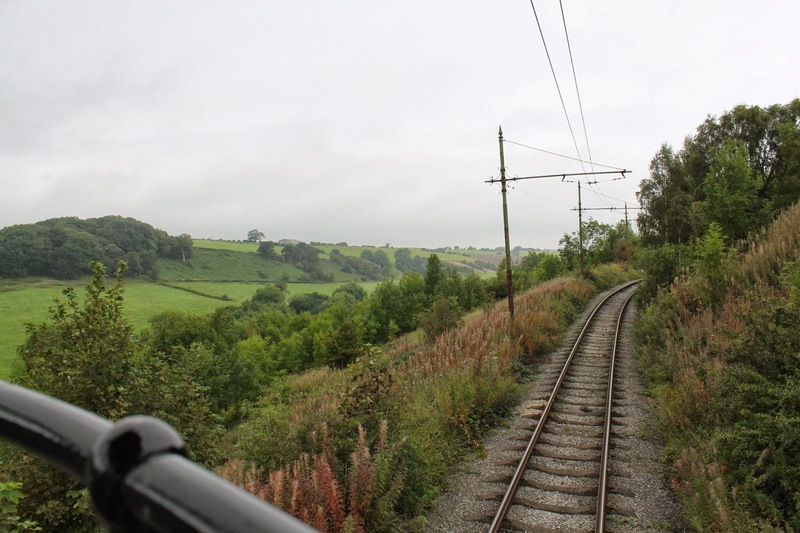 My favorite was a ride out into the countryside on one of the operating trams. It was my only glimpse of the Peak District that I had spent hours planning to see. There were a couple of play areas that Big Arrow really enjoyed. And he quickly forgot about all the other activities he thought the weekend was going to include. Little Arrow barely tolerated the outing, but was passably content as long as we obliged him his pacifier. The fresh air and change of scenery seemed to revive all of our spirits. I wrote more about the National Tramway Museum at Anglotopia. That's the post you should read if you fancy a visit there yourself. We returned home from there, appeased by the idea that we saw something new, however challenging a 24-hour period it might have been. As we chatted during the drive home, with two little boys in the backseat completely zonked out, we agreed that maybe we had finally hit our bad luck stretch. So much of our move here had seemed a dream and had gone so smoothly. On top of that, our summer trip to Scandinavia featured 8 days of sunshine and fun adventures. It was natural to have some hiccups along the way. This weekend was our overdue speed bump. 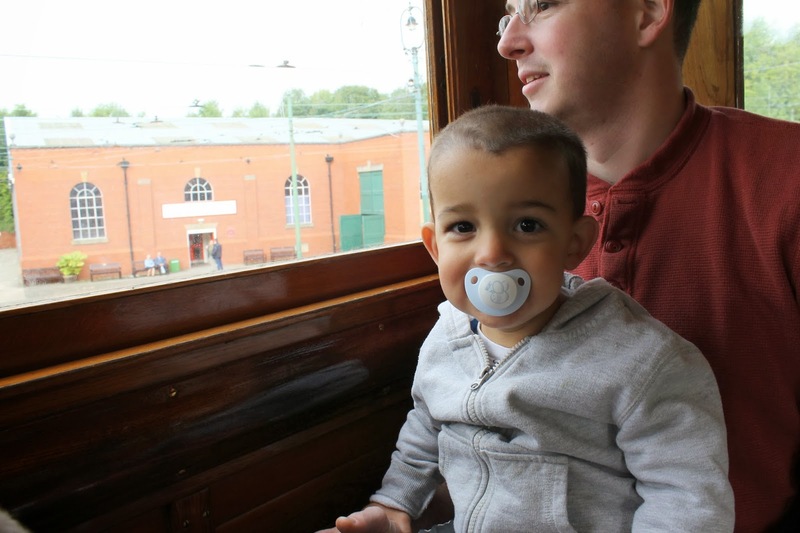 Apologies if you come to this blog to read about happy family times and to see smiling faces. We'll resume our regularly scheduled programming soon. But we could all use a little less Pinterest-perfect and more get-real moments these days, right?